In early December 1996, one of mainstream Ukrainian TV channels showed a feature, according to which Dmytro Tabachnyk, the head of Leonid Kuchma's presidential administration, lobbied for a colonel's rank for himself. The president saw the feature and got curious which rank he has. It turned out he was a captain. A decree to fire Tabachnyk was signed the same day. A few words should be said to explain WHO Dmytro Volodymyrovych was at the time of early Kuchma. The almighty head of the administration, he was the first to turn this inconspicuous official's post into an alternative vertical of power, the first to demonize it. He headed the presidential administration for over two years. It is when the anecdote was born that "Kuchma works as the president in Tabachnyk's administration" (its essence has not changed over the years – only the names changed). The elites hated Tabachnyk, they shared compromising information about him with Kuchma, complained about him and tried to frame him up. Nothing helped because Kuchma liked Tabachnyk and was not going to replace him. Until he saw that TV feature. The feature that hurt his feelings. *** According to a whole number of sources (and some media reports), the president signed the decree to strip Mikheil Saakashvili of citizenship after the presidential administration had a public screening of TV shows authored by the Georgian ex-president. Not just one but a series of them. The shows touched the feelings. And the president signed the decree. Legal reasoning for which has long been in place. The author of this article saw respective documents literally two or three weeks after Mr. Saakashvili's resignation as Odesa governor. They were simply lying there until the right time. This sparked the public outcry. The outcry which is only growing. - How is the West going to take it? - What foreign policy consequences can it have for Ukraine? - Are these events the harbingers or signs of a dictatorial regime being established in Ukraine? - Is it a compliment to Putin? - What influence will these events have on the Ukrainian opposition? Let's think about these together. So, all in good time. It is no secret in certain circles that back in the days, Western partners lobbied for Mikheil's arrival in Ukraine. Among them was George Soros, an old friend and mentor of Saakashvili. Did Ukraine factor this in when it formulated the decision to strip Saakashvili of citizenship? No. Because the decision, as I've already said, was driven by emotions. Which means no-one really thought about the consequences. What can these consequences be? The first one is a formal status. Saakashvili has no "back-up" passport. He cannot be a "person without citizenship" if he wants to be able to travel freely around the world. 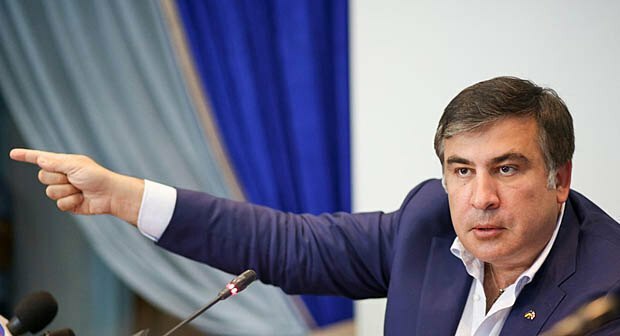 Of course, Saakashvili threatens to return Ukraine one way or another but these statements should not be taken seriously (he once "returned" to Georgia during the election – we remember what came out of this). The only logical path is to try and get legal support from the USA. 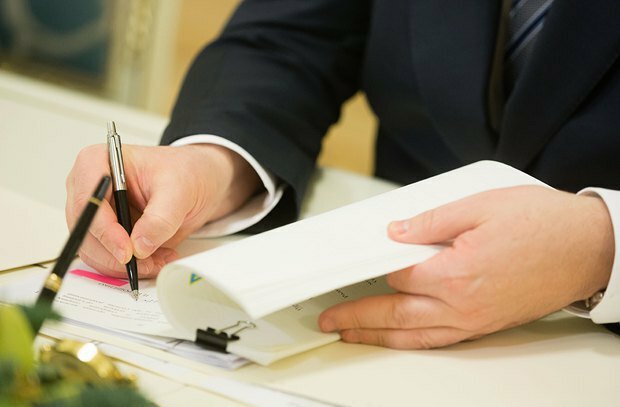 Either a shelter, or a refugee status, or a temporary residence permit – nuances are not so important as the fact. Clearly, Mr. Soros will provide him with all possible support, which is a lot. Quite a lot. Especially given the Ukrainian context. But we should still remember that Soros and Trump's administration are two different things. Mildly put. 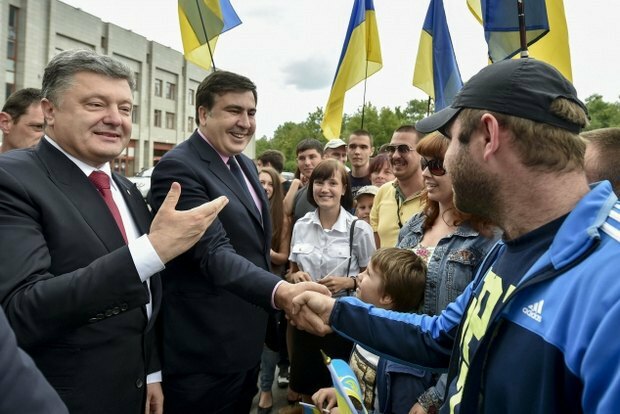 What is Ukraine guaranteed to expect in the west after the Saakashvili story? 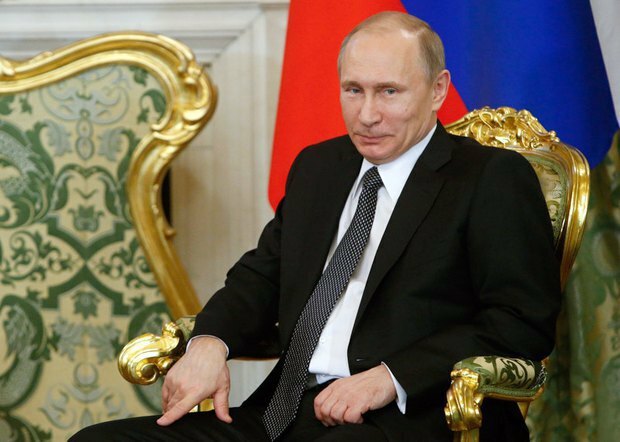 He is sure to become a permanent guest at big roundtables and panel discussions on Ukraine. Also, he is an excellent topical commentator for mainstream media. He is particularly qualified and informed of, as he puts it, "all ins and outs of Ukrainian corruption". So, if need be, he can share insights, possibly even with local prosecution. It is difficult to imagine a more effective anti-lobbyist of the local political upper crust in the West. Any authority must have taken a lot of efforts to create one with its own hands. The Ukrainian authorities easily managed. If you need proof, read the recent editions of The New York Times. Or listen to Saakashvili's speeches on CNN. You would not find it funny. Second. Is what happened a harbinger of dictatorship? The answer to this question is perhaps of most interest. Any dictator has immense power. In our case, if not for a situational coincidence of interests between Petro Poroshenko and Arsen Avakov, Saakashvili would not have been stripped of citizenship. Or consider the reformatting of the citizenship commission in a hurry. Who is on the commission? Right, the state secretary of the Interior Ministry, Oleksiy Takhtay (Avakov's right hand), the recently-appointed deputy head of the Security Service of Ukraine (SBU), Viktor Kononenko (better known in some narrow circles as Latysh, or Latvian, because of his patronymic Ionasovych). The last name is certainly a coincidence but I would suggest that the special services pay close attention to the "rising star". We will hear about him time and time again in the near future. 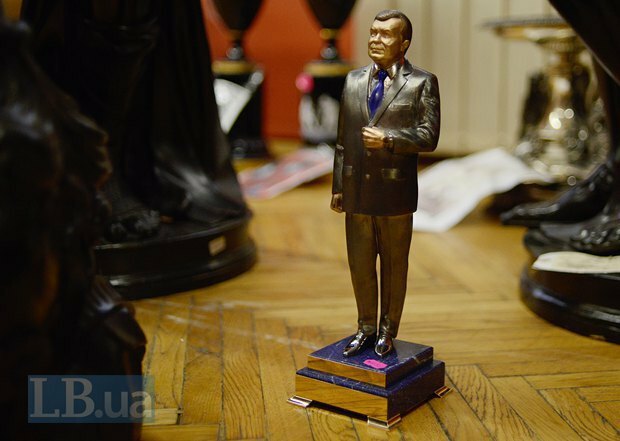 … Ukraine has known quite a few home-grown dictators, big and small. From presidents to local kinglets. They tweaked the constitution to their liking, fully subdued the judiciary, altered the Criminal Procedural Code, monopolized mass media, rigged elections, intimidated MPs, "ordered" their competitors, used the Tax Service as one of the main tools of personal enrichment and intimidation of the "unwanted". But none of them happened to have an idea to get rid of those "unwanted" by stripping them of citizenship. Why? The scheme is apparently on the surface. 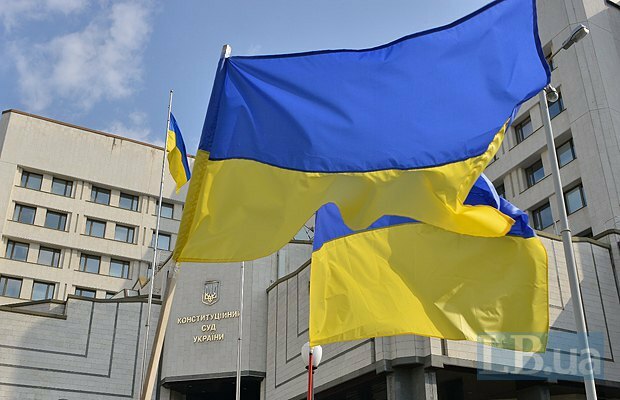 According to Bankova, the decision on Saakashvili is justified, and there is a loophole in the relevant law. However, they forgot about the document called the constitution, which is directly applicable and above any law by default. And it does not say a word about stripping anyone of citizenship. At all. It is not selective "justice" that is dangerous but the precedent which, if not stopped, can turn into a regular practice. In fact, this is already happening. Sasha Borovik and Andriy Artemenko were also stripped of citizenship. Because these individuals do not have as much publicity as Saakashvili, few people paid attention. Unfortunately. Their civil rights, no matter what you think of these two, were clearly violated. 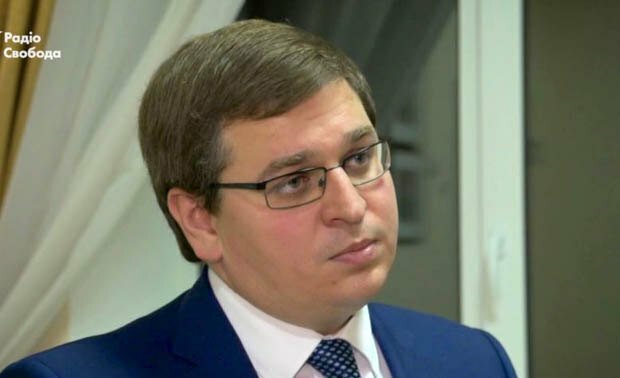 The "Saakashvili case" is a perfect reason not just to restore them but to stop any attempts of "selective interpretation" of the main law once and for all. And if the guarantor of the constitution finds out that one or another document is at variance with the main law, he should use it not in his own interests but do everything possible to remove this discrepancy. For example, by referring the issue to the Constitutional Court of Ukraine. What is good is that professional lawyers and many representatives of civil society understand this. It depends a lot on their public position how the Saakashvili story is going to turn out. Not even for Saakashvili but for Ukraine, for all of us. Will a whip of "stripping citizenship" be knocked from the hands of the authorities or it will turn into a full-fledged tool of dictatorship? So the scenario of future actions is very simple: the "Saakashvili case" must be appealed in all courts. And if there are questions to be asked about Ukrainian courts, the Georgian ex-president is almost certain to win in international courts (including in the ECHR). And Ukraine cannot but respect their rulings (unless, of course, it follows the suit of Putin's Russia and refuses to recognize the jurisdiction of international courts). Mikho's supporters are very fond of the version about Saakashvili being stripped of citizenship as a compliment to Putin. No, this is not a compliment. See the first clause: an impulsive decision based on emotions cannot be rational. Although Vladimir Vladimirovich is certainly happy, in particular because one of his main public opponents outside Russia, who has been trolling him so painfully and subtly for so many years, will now switch attention to the senior Ukrainian leadership. The Russian propaganda will certainly leap at a chance. The fact that opposition leaders rushed to support Saakashvili should not mislead you. They would not be able to give him any specific help, but it would be foolish of them not to use this wonderful antigovernment information occasion. Besides, Saakashvili could be a situational companion for Tymoshenko, Sadovyy, the Democratic Alliance and others (as they repeatedly declared) but, strategically, he is their competitor. And although Saakashvili and his closest allies would not be able to take part in the next elections because of local residence requirement, one thing is to develop a new party with the direct involvement of Mikheil Saakashvili. It is an absolutely different thing to look back at his "image in shining armour" at the distance. Modern communication means are certainly helpful but, as the reality shows, they are not enough. Especially when you rely on voters in small towns and villages, places where "heavyweights" rarely visit and which were in the focus of attention of the Movement of New Forces. Examples are not scarce. The transformations which Saakashvili's Single National Movement underwent after he had left Georgia is the best proof. So it seems that for Ukrainian statehood and Ukrainian society in the current situation there can be more advantages than drawbacks. No doubt, certain representatives of the current authorities display dictatorial traits. Luckily, they are all "under-dictatorial". At least because the country has balances. Although weakly and with pain, but various branches of power compete with each other, "follow", "monitor", and "look after". This is of course a perverse form of "competition" but during the transition stage it is better than a prison camp of Yanukovych times. The precedents like an attempt to strip Saakashvili of citizenship, while flagrantly ignoring the constitution, cannot be left unnoticed, without reaction. First of all, from the professional legal society, the active part of civil society. Otherwise, the dictatorship will lose the prefix "under" and there will be one step left to Putin's Russia. Or to Georgia during Mikheil's second term where the true opposition was rooted out (and replaced by the fake one like our Nash Kray); where the president's remark "throw them out of the window" about the staff of an opposition TV channel was taken literally by the police; where thousands of dissenters who risked staging a rally were jailed while dozens of thousands received "conditional" sentences; where "window dressing" ended up with the central avenues of Tbilisi and Batumi, where there was no-one to complain to about human rights abuses because the West fully supported the way things were. It seems we should think about this. And not run to extremes. Neither one.